I know Thyself (“IKT”) Indus practice is a structured program driven by the IKT book. We believe that it is critical that students learn to set goals at an early age. The Indus Know Thyself book allows them to keep track of their own progress. They set their own goals and receive feedback from both the teachers and peers. We regularly encourage students to take up activities inside the School, which aid the feeling of community development and a sense of belongingness to the School. Students can be seen cleaning their classrooms, corridors, gardens, and even lending a hand in the kitchen. At Indus World School, we recognize the importance of reading. We believe that reading is more than a skill. It is the building block for development of students and it is also a guiding force that has the potential to take our students perform better in life. World over, there is no debate with regards to the criticality and importance of reading. Reading is a vital skill for personal and professional success. Several global research studies on reading have concluded that there is a very high correlation between reading and academic performance. In fact, there are also studies that prove that students who read better perform better in all subjects, including STEM (Science, Engineering, Technology and Mathematics) subjects. To strengthen reading skills, our School has DEAR time embedded in its schedule. There are times declared by the teachers that are the DEAR time, specially dedicated for reading. We also have the practice of students writing the summary of the books they read. This practice helps in improved reading comprehension and also writing abilities. At Indus World School, we encourage the development of healthy interpersonal skills and value education from early age. A unique practice at Indus is one of Quality Circle Time (“QCT”), which is followed once a week by teachers and students together. In QCT, students spend time sharing their social and emotional issues and challenges and try to address them. During the QCT, students learn to sharpen their thinking and listening skills, learn to give and receive feedback to each other and share their emotions with each other. These practices help our students enhance their perceptiveness and self-disclosure, which are critical life skills. 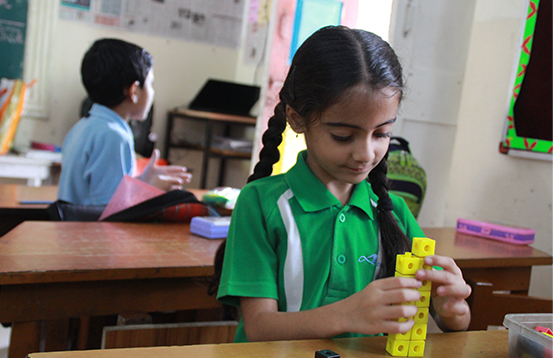 QCT at Indus World School is implemented right from the beginning. It enables creating an environment where everyone celebrates achievements of others, accepts honest mistakes and resolves issues, if any. At Indus World School, the students take responsibilities of their own life early on. They set their own goals and review their own progress with their teachers. These build habit of self-management and personal effectives. This leads to a balanced social and emotional learning. At Indus World School, we believe that birthday or birth anniversary is a very special day and we believe the best gift one can get is a feeling of ‘you are a very beautiful human being’. If this comes from everyone in the world around you, it surely makes the day unique and special. Birthday Celebrations at Indus World School is a practice of sharing happy feelings and making every child, and teacher feel special and happy for whom he or she is as an individual. Everyone thanks the person for the valuable moments he or she brings in the group. The celebration is done with a lot of care. This process helps students learn to appreciate their peers and learn to look for positivity in every human being. Birthday is celebrated with the parents; the parents are invited by the teacher 2-3 days prior to the child's birthday. On the birthday, the parents join the child's classmates and teacher to celebrate the birthday. The teacher makes special seating arrangements for the parents and child; everyone sits in a circle and the child celebrating his/ her birthday lights a candle/ lamp. Everyone sings the birthday song, all the people present i.e. students, parents, and teacher share good qualities of the child to make him/her special. The child celebrating birthday shares sweets with his/her friends and teachers. Birthday celebrations together in a circle gives a feeling of emotional bonding, self-confidence and strong relationship with parents, teacher and classmates. Birthday celebrations give an opportunity for regeneration and encouragement, and proves to be a heart-warming moment for our students. Self-less service born out of love for human beings. We believe that if the students take responsibility of their classrooms and the School through self-less service, they will be in future ready to take responsibility of the organization they will lead and communities they will reside in. Indus World School students are privileged. They are called upon to share their time, imagination and energy with others. Projects within the local community, along with humanitarian trips to some of the poorest areas of the region, contribute to their education as compassionate human beings. 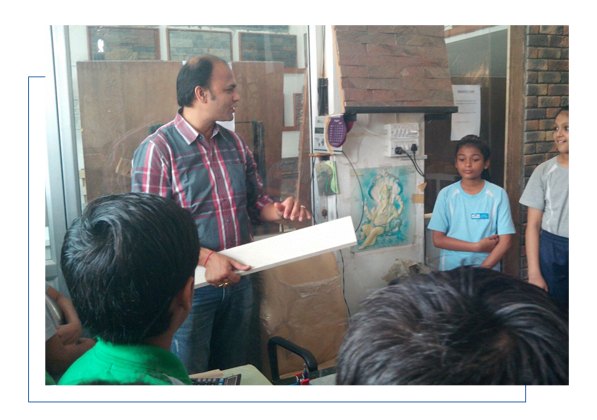 Home Visits are an integral part of learning at Indus World School. 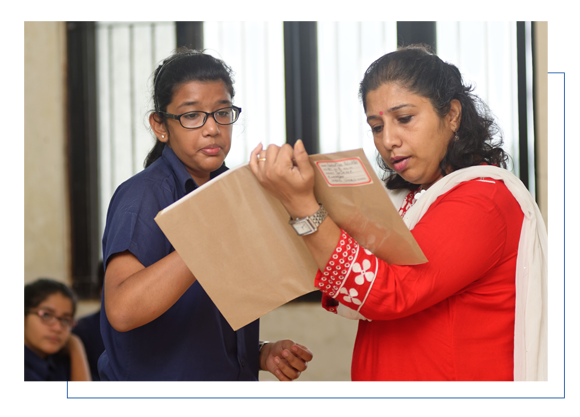 Home Visits at Indus World School are considered an important process of building relationships between the school and home, aimed at improved learning of our students. It helps the teachers understand and appreciate the family and home environment of the students. The aspirations and expectations are not only understood but also communicated by our teachers. Engagement with the family helps the teachers better understand the child in a holistic manner resulting in action plan for improved academic, social and emotional development of the child. Each year, all our teachers ensure that all homes are visited at least once. Central to the approach is the creation of active experiences that encourage and facilitate the asking and answering of questions and lead to the beginning of understanding. 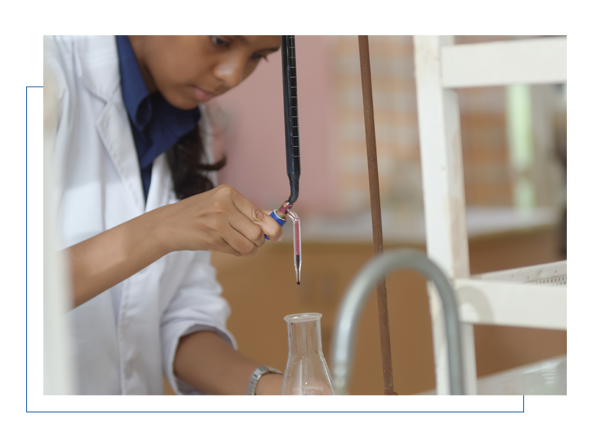 For science subjects, we believe in creating active experience for our students focussed on STEM (Science, Technology, Engineering and Mathematics). Students interact with a variety of tools and technologies such as monitors, tablets, mobile applications and many items made of household things aimed to make learning relevant, useful, accessible and joyful. Using Active Science, we aim to get our students excited about and interested in science through experiential and hands-on learning. In addition, we integrate games and physical activity to make learning relevant. 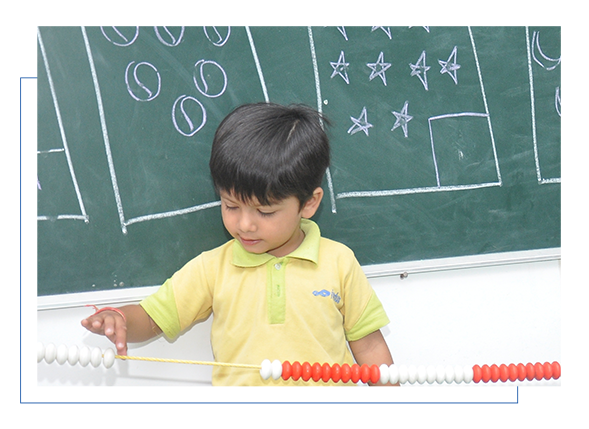 At Indus World School, we follow Jodo Gyan for active mathematics, specially in the initial grades. Jodo Gyan is an institution focussed on finding practical solutions to the common problems in the classroom practices. It works closely with students, teachers, and parents in mathematics and science. 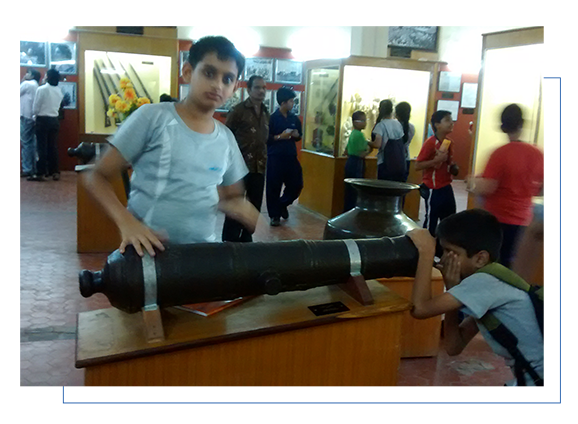 It deploys innovative methods through which students understand and enjoy what they are being taught. Additionally, there are workshops on designing, developing and providing low-cost TLMs (teaching learning materials) for the effective implementation of activity-based education. Jolly Phonics is a wonderful program that teaches students to read and write using synthetic phonics. It is widely considered and recognised as the most effective way to teach students to read and write in English. Jolly Phonics is being used in over 100 countries globally as the leading school programme that teaches not only phonics, but also spelling, punctuation and grammar. Systematic teaching of phonics, grammar, spelling and punctuation helps the students learn the right English in the right manner. Moreover, the teaching is multi-sensory and active, with fun actions, stories and songs. Many independent research reports confirm the outstanding results achieved through Jolly Phonics. 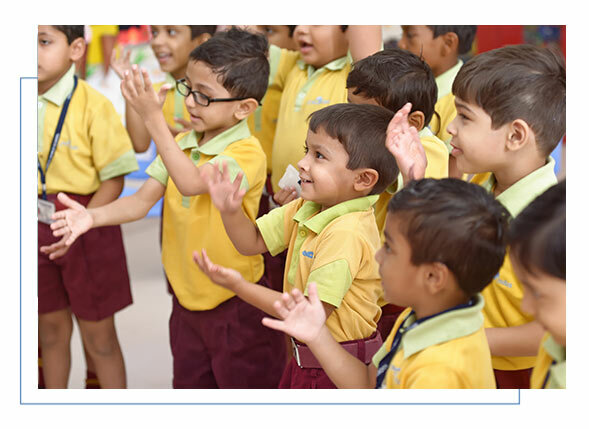 The students at Indus World School benefit immensely from Jolly Phonics program.